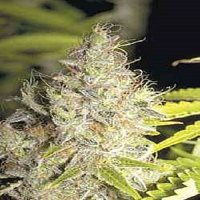 Critical Mass Feminized Cannabis Seeds: A reworked excellent version of an old breed once known as Big Bud. This is an absolute must for the cultivator who demands a high yield with an equally high stone. It is the heaviest plant currently in production for commercial farmers and outdoor crops, resembling the male genital protrusion of a giant donkey. Due to its heavy flower construction it can be susceptible to mould if the growing area is too high with humidity. So be warned, harvest on time!!! It has a genetic pedigree originating from a particularly heavy Afghani combined with the original Skunk#1. 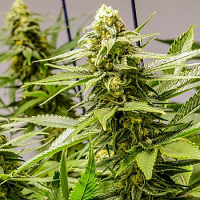 An expected yield indoors would be realistic at 650-750 grams per square meter…possibly more for the experienced cultivators? If you cultivate outdoors then expect to harvest in September for the northern hemisphere and by March for those in the southern hemisphere. Breed by the original breeder and founder of the original Seed Bank.